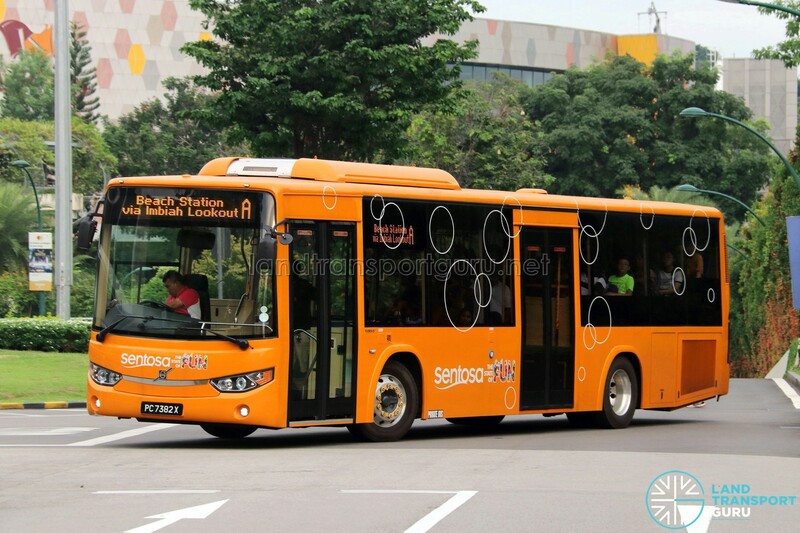 The Volvo B8RLE is a low-entry city bus chassis built by Volvo Buses in both two and three-axle variants, suitable for single-deck and double-deck applications. 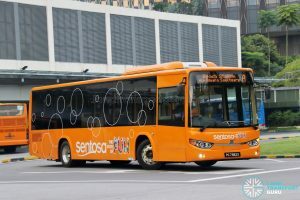 Six units of the Volvo B8RLE single-deck bus were procured by Sentosa Development Corporation in 2018 to replace their fleet of Volvo B7RLE buses which were registered in 2005. 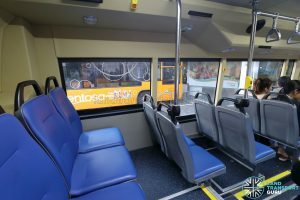 These buses are bodied with bodywork by Liannex Corporation and entered service in early November 2018. 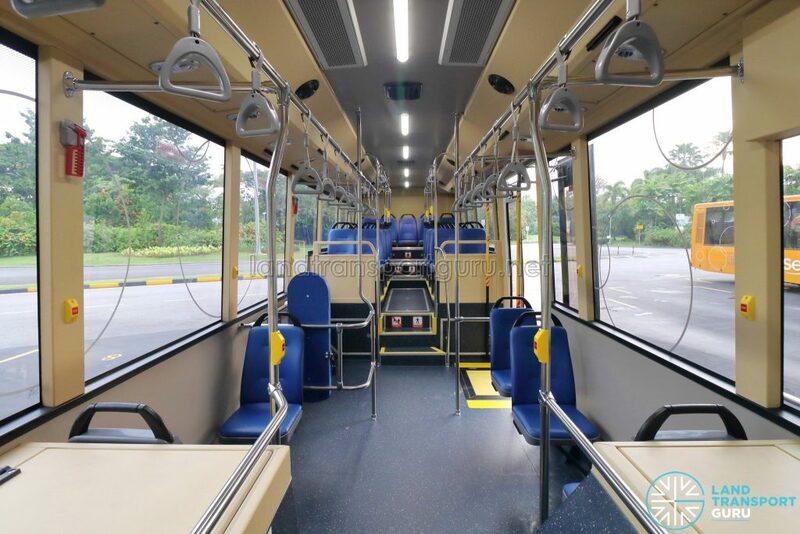 One Volvo B8RLE chassis is also featured at the Tower Transit Singapore Engineering Centre of Excellence in Bulim Bus Depot for training purposes. 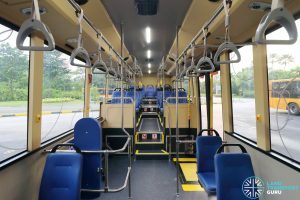 The Volvo B8RLE, and its high-floor sister Volvo B8R chassis, are Volvo single-deck bus chassis manufactured by Volvo Buses since 2013 for European markets adopting the Euro VI emission standards. 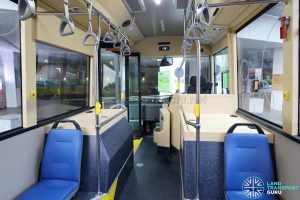 In particular, the Volvo B8RLE was the successor to the B7RLE and B9RLE, and was also the basis for the Volvo 8900LE integral bus. Both two axle, three axle and articulated versions of the B8RLE chassis were made available. 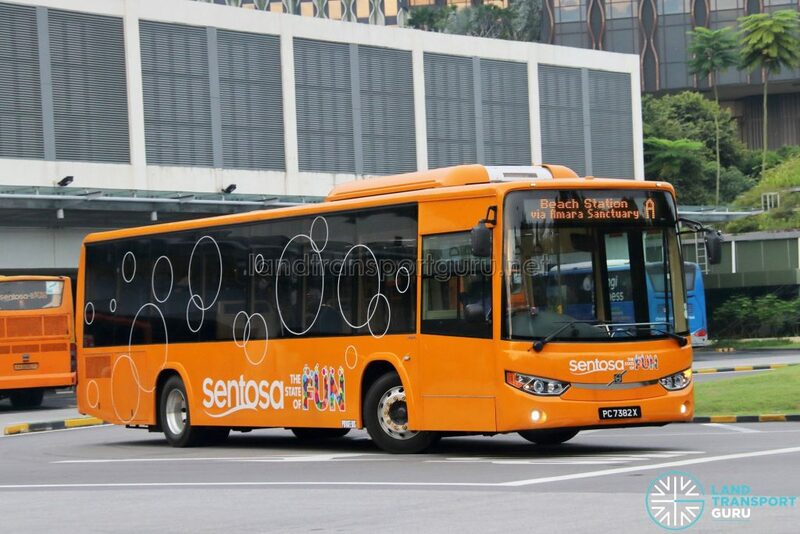 In 2017, the Volvo B8R and B8RLE were launched globally, with the Volvo D8 engine made available in Euro III and Euro V emission standards. The Wright Eclipse 3, MCV eVoRa and Volgren Optimus bodywork options are known to be compatible with the chassis. 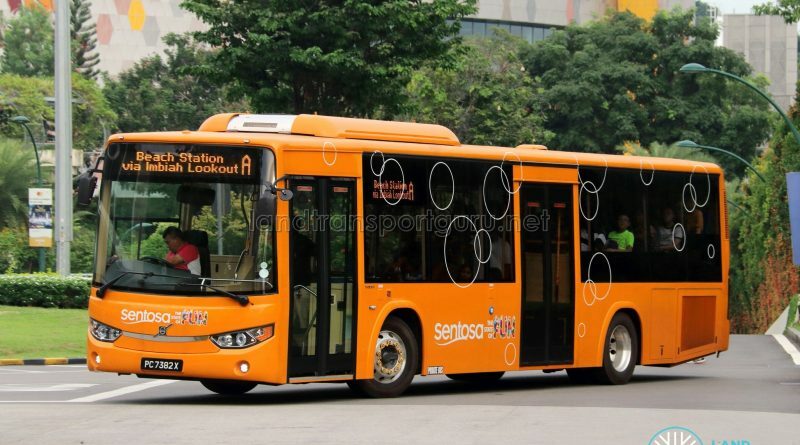 Sentosa Development Corporation acquired several units of Volvo B8RLE bodied by Liannex in 2018 as a fleet replacement for its Volvo B7RLE buses. 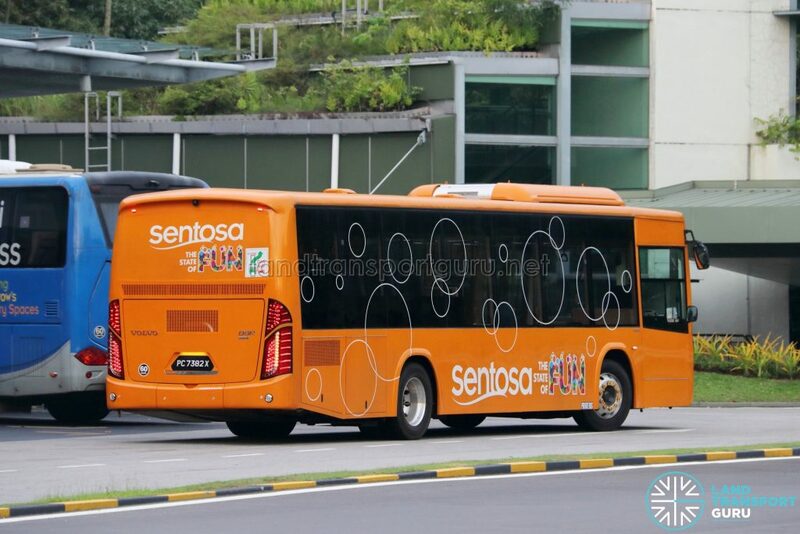 As of November 2018, Volvo B8RLE Buses spotted in Sentosa Livery are as follows: PC7187T, PC7203E, PC7363B, PC7382X, PC7434E & PC7515E. 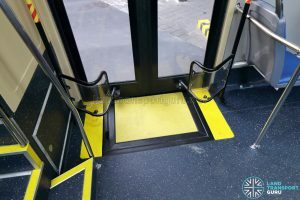 The Volvo B8RLE is a low-entry bus, which offers step-free access between entry and exit doors. 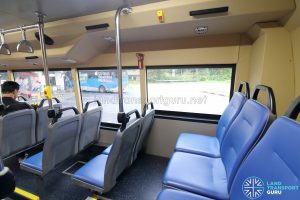 The rear seating area is raised from the floor, and accessed by a flight of steps. 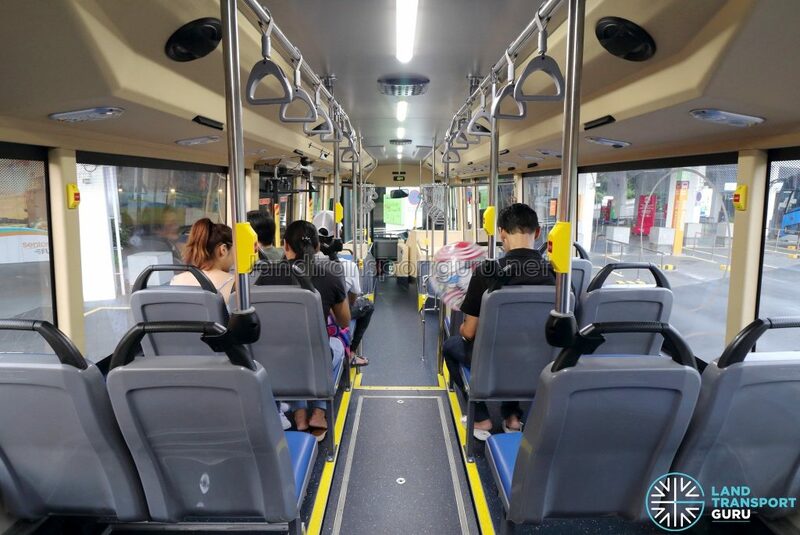 Like most single-deck city buses in Singapore, the Volvo B8RLE buses are configured with two doors: an entrance door at the front, and an exit door in the middle. 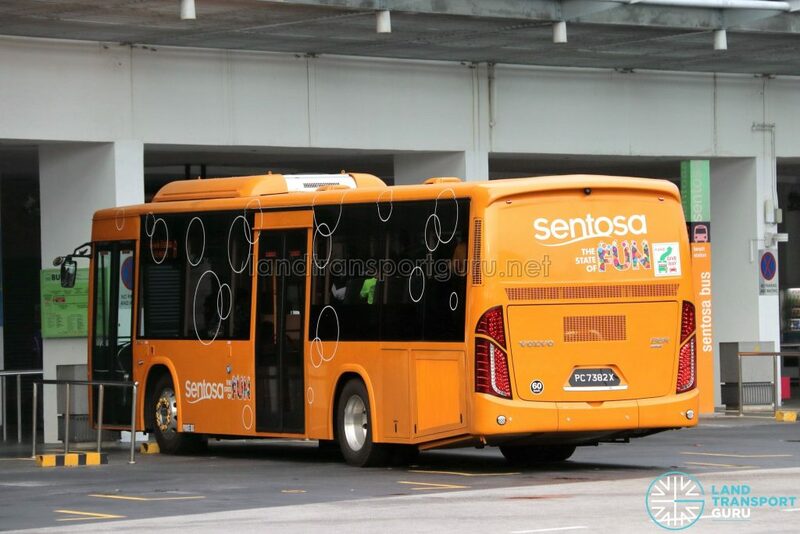 The entrance doors are conventional inward-gliding leaf doors, while the exit doors are outward-swinging plug doors. 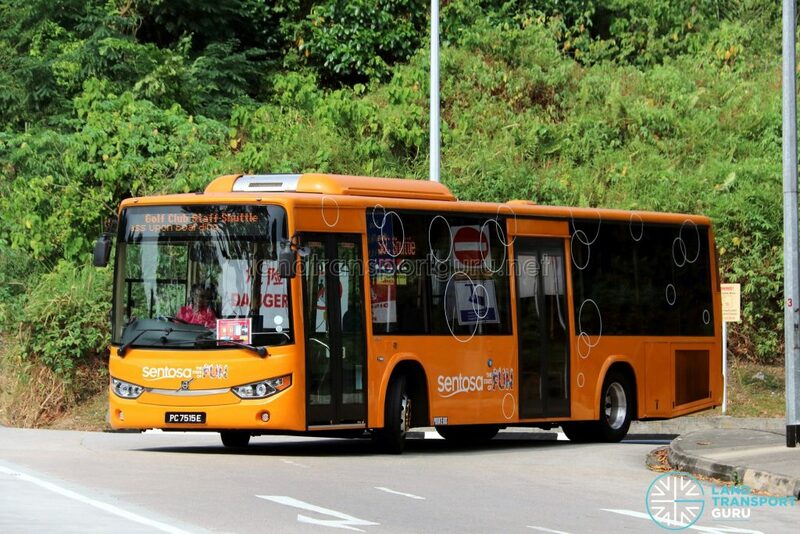 They are supplied by SMC Transit. 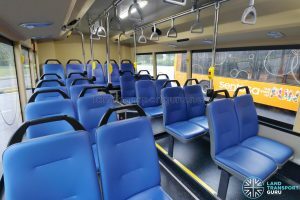 The bus features 26 permanent seats. 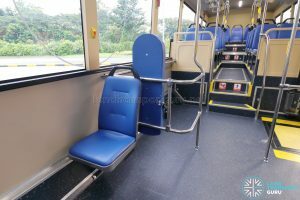 Seats were supplied by Vogel Industries of Malaysia (Model: System 750/3) in blue. 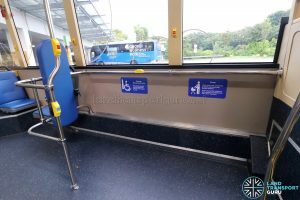 The bus features one wheelchair bay, located opposite the exit door, and is equipped with a seatbelt. 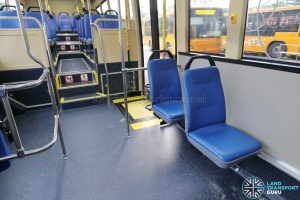 It also functions as a standing area when not occupied by a wheelchair. Grab poles and hand grips are located on both sides of the aisle. 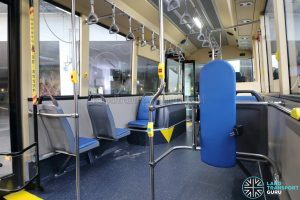 All seats also have hand grips to provide commuters with additional support. 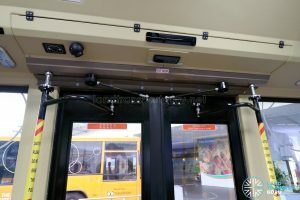 Bus stopping bell-pushes are located around the bus cabin, either mounted to stanchion poles or on the pillars in-between windows. Emergency hammers are also located on these pillars. 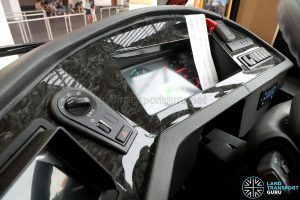 The layout of the driver’s compartment is ergonomic, with most controls located on the dashboard. 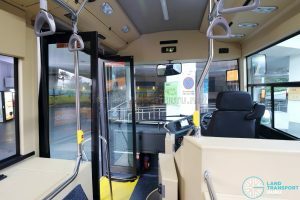 A radio head unit and intercom system controls are located on the bottom left, while bus announcement buttons, door controls and light switches are placed on the right. 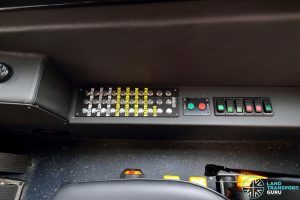 The Electronic Display Sign (EDS) controller is located above the driver’s cab. 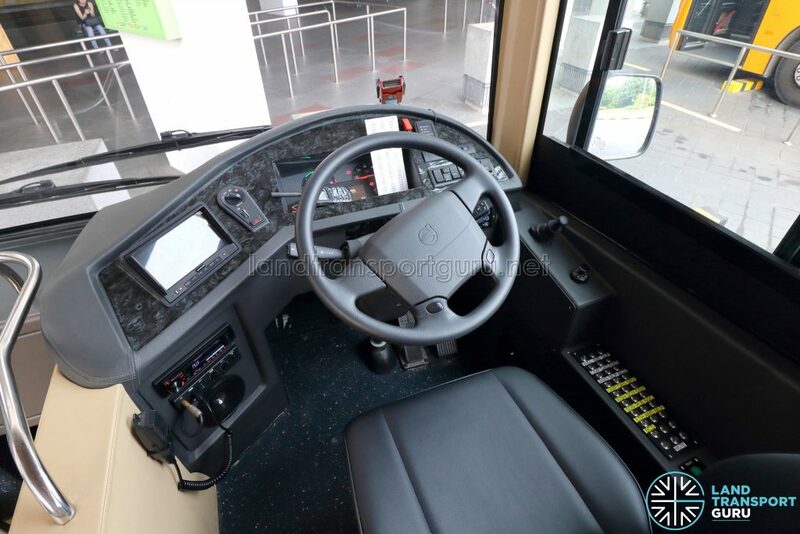 The right side blind spot mirror is also located at dashboard height, as opposed to being integrated with the right side mirror as with many other buses.